It's finally here! For the first time ever, iPhone users can now schedule a message to any mobile number in the US. 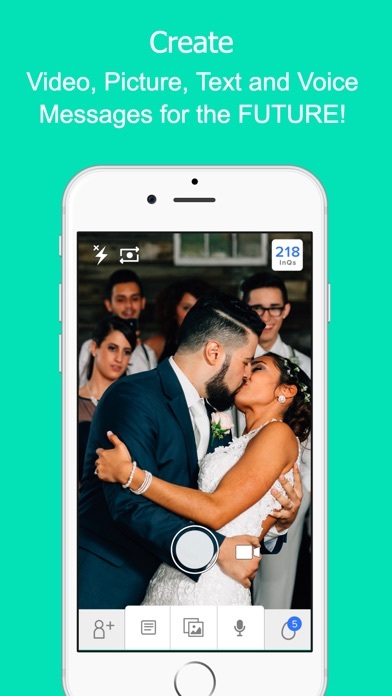 Select an exact moment, from 1 minute up to 25 years into the future  recipients no longer have to have the app! 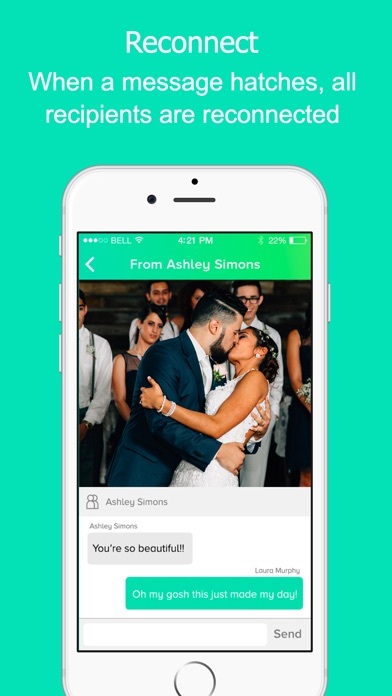 Get the digital time-capsule that lets you send video, picture, text and voice messages to friends and family to an exact moment in the future! Let's be honest, our social media wall has become the digital version of that old box of pictures in the attic - where memories go to fade. So how's it work? 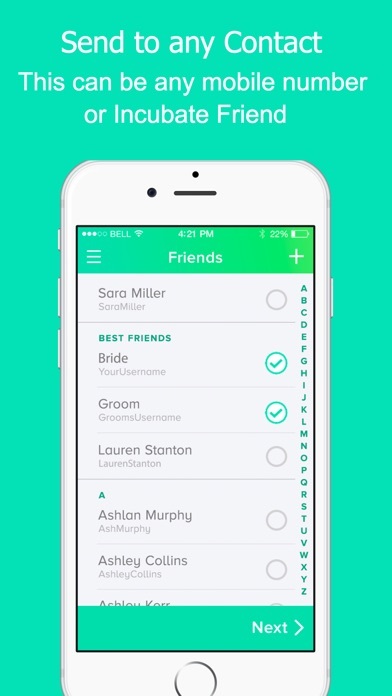 Just create content, choose a friend or friends to send it to, select a date, and send. 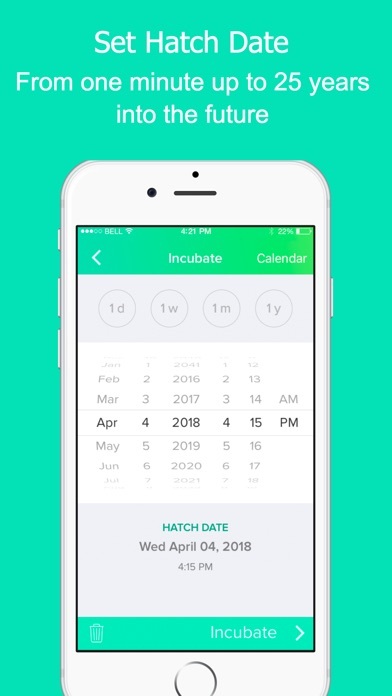 Messages are locked until it "hatches" for the recipient. There are 67 billion uses, give or take. 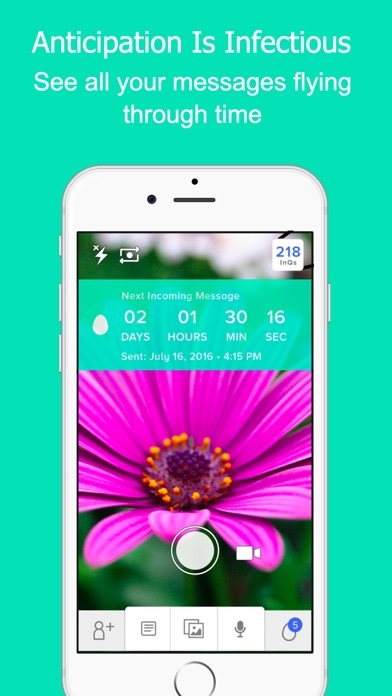 Here are some starters to get you rolling: - Incubate a wedding and turn the celebration into 25 years of memories - Serviceman can send timed messages set to hatch while deployed. Now they can wish their kid a happy birthday or spouse a happy anniversary even if they dont have access to a communicative device. - Send a video from some crazy night out in college to five years in the future. - Send a picture of your baby's first steps to their 18th birthday. - Never forget to send a birthday, anniversary or holiday message. - Imagine getting a special message from your favorite grandparent far after they're gone.